The P3 Power Boost » Credit Card Debt: How Much is Too Much? Quite a few books and Web sites provide formulas for calculating whether your current level of consumer debt is too much for your income, but there’s a better indication of too much debt. Debt is much more than numbers on a monthly statement – debt is a state of mind. If you can write a check to the credit card company without giving it a thought for the rest of the month, then you probably don’t have too much debt. However, when you reach a point where you dread opening the mail, don’t answer the phone because it might be a creditor, or constantly obsess over your balance (even if it’s small), then you have too much debt regardless of what a formula says. And if you carry a credit card balance from month to month, no matter how small it is, you need to begin a debt reduction plan. Scan your credit card statements and look at the amount of finance charges you’re paying every month. You’re giving that money away! Because credit card payments must fit into your monthly budget, the best way to figure mathematically if you have too much debt is to compare your monthly income against your monthly minimum payments. A general rule of thumb states that if more than three percent of monthly income is used to service credit cards, it’s time to get serious about a debt reduction plan. Calculate your monthly income and how much three percent of that figure is. This amount is ideally the highest your monthly minimum payments should be. 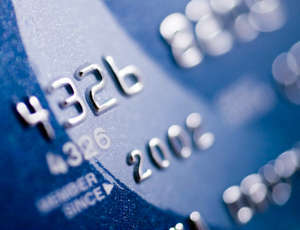 Add up the minimum payment amounts from all of your credit cards and compare the total to that number. If your minimum payments are 3% or less of your income, you are in an ideal financial position to eliminate your credit card balance. Unfortunately, most debtors don’t fall into this range. If your minimum payments are between 4 – 10% of your income, this mid-range can make or break your finances. Begin a debt reduction plan as soon as possible. It’s not too late! When you see that your minimum payments are between 10 – 20% of your income, your financial situation is on the edge of critical mass. Start analyzing your finances today or seek professional help if the task seems too overwhelming. By the time you’ve reached a point where your credit card minimum payments are 20% or greater in relation to your income, you’ve reached a point where recovering on your own can be nearly impossible. Unless you live off the land in the wilderness (no water, electricity, or grocery bills), it’s probably too late to start a standard balance reduction plan yourself. Find a financial planner or credit counselor immediately. He or she can help you reduce your debt and make smarter financial choices in the future. Rev. Beck has been a professional writer, editor, and editor since 1994. She has a portfolio of work on Suite101, and writes mostly for private clients.